I was waiting for her to explode. There was a fine line between genius and insanity, they say, and choosing her as a running mate was starting to seem like the definition of that line. 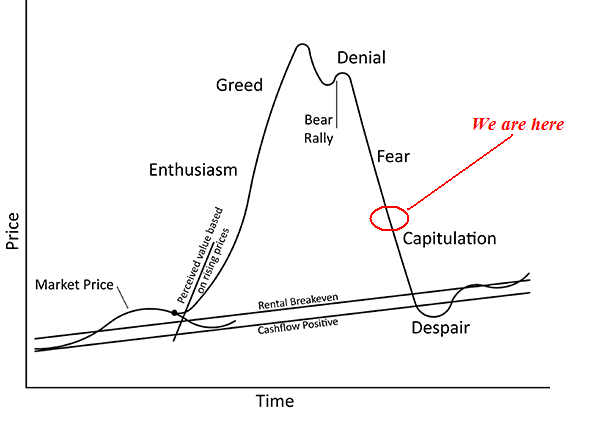 Don't be fooled by the psychology of the market. People are clinging to the hope of a real estate recovery. We are not yet at the bottom. We are on the verge of a global currency crisis, stock market crash, bank failures, government insolvencies and it's not the bottom for real estate. The best way to face multiple crisis is to look straight at them with clarity and no fear. It is the only option for resolution, which will take effort, time and creative thinking.